Ever since I was bitten by the photography bug, I've viewed my surroundings slightly differently to how I used to! I guess what I mean is that wherever I go, I can't help viewing the world as though I am looking through my viewfinder. I'm always looking for angles, contrasts, textures, shapes, colours and patterns. I can't help it! My Image of the Week is the perfect case in point. I was strolling around the garden centre, looking for a bag of compost to begin my springtime gardening duties, when a fine display of succulent plants jumped out at me. 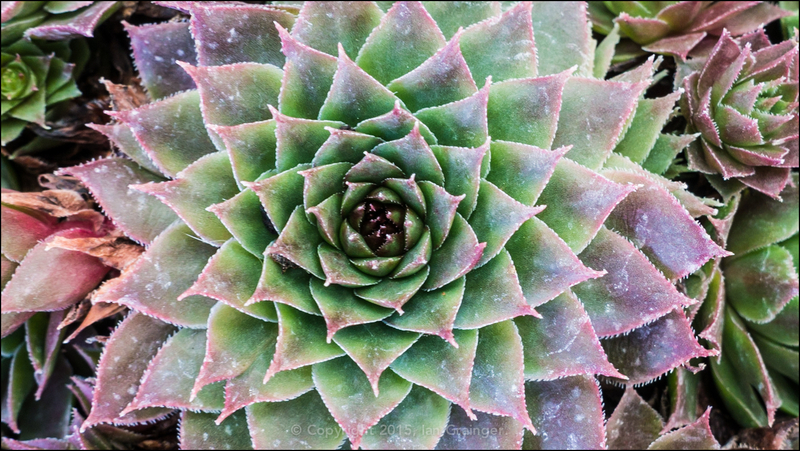 Before I knew what I was doing, I had my camera in hand, and was shooting away at the little plants - called Sempervivums! It's a great reminder that you don't need a photographic studio, or an exotic location in mind to have a photo shoot!